Diva Says What: Nerd Alert! Yesterday at the gym, after a hilarious episode of Ellen, Judge Judy came on the TV. I asked the guy next to me if I could change the station, because who watches Judge Judy?! Well sonofabitch if he didn't say, "No, I'm watching this." That is not a normal thing for a guy to publicly admit. I made sure he paid attention the whole time so he didn't punish me for no reason. 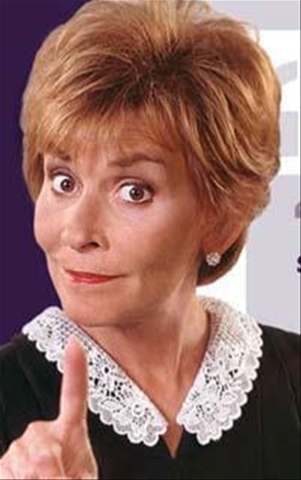 If you have to watch Judge Judy for some sick reason, do it in the privacy of your own home.